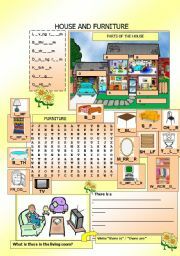 Worksheet for kids to practise parts of the house and furniture vocabulary and there is, there are. Present Continuous explanation and exercises. Merry Christmas! 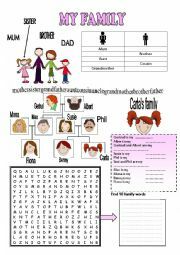 Family vocabulary practice for kids with different exercises. To introduce defining relative clauses. There is an explanation and two exercises where they have to use the relative pronouns who/that/which/where. 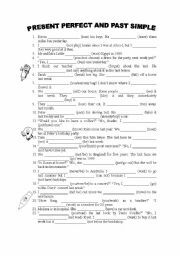 Worksheet to practise the Passive Voice (only present simple, past simple and will). 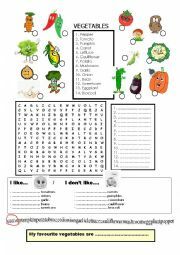 There�s an explanation and two exercises. 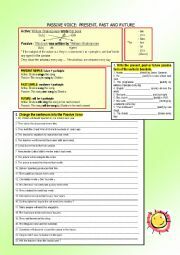 Worksheet for kids to practise Subject Pronouns. The first time I published it, it was removed because I didn�t notice that it contained a translation of the pronouns in Spanish. I�ve been a good girl and now it�s fully in English! 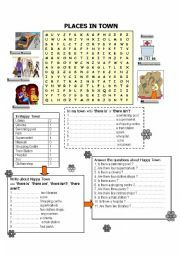 Worksheet with different exercises to practice vocabulary about places in town and also some exercises on "there is" and "there are". Have a nice day! 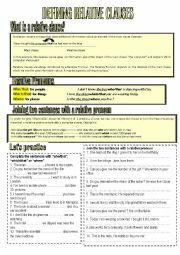 It�s a grammar worksheet to practise the use of Present Perfect and Past Simple. Hope you find it useful. 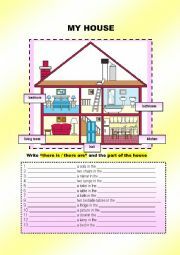 A worksheet for kids to practise there is, there are and parts of the house and furniture vocabulary.